This post was originally published on the Target Pulse Blog. Enjoy! “Oh my goodness,” I thought to myself as I stared at the dauntingly full z-rack of bathing suits in the fitting room. I was tasked with completing the re-shop at the start of the day and was utterly overwhelmed. “All right, you can do this” I said to myself, pushing the rack onto the floor. Forty minutes and an empty z-rack later I walked back to the fitting room, proud of myself and my quick work, only to find another full z-rack waiting for me. After three z-racks, I began to realize that the work load would never be truly “done.” Finished, over, box-checked does not actually exist with re-shop. How could these team members deal with this phenomenon? What must it be like to know that fully completing a task is an impossibility? When I finally got home after that first Saturday on duty I came to the conclusion that z-racks and re-shop are a lot like life. Bear with me here. I promise this is going somewhere and has deep meaning. In life, we are on the quest to better ourselves, our relationships, our work, etc. Yet, despite our best efforts we will constantly be evolving and as great as we may be, we can always get better. This is an idea and reality that I have struggled with for as long as I can remember. I am the type of person who makes to-do lists and adds tasks I’ve already done just so I can check them off. As a problem solver and one who drives for results, my mentality has always been that I can break any goal into action steps and once those are complete I can consider myself successful. Working with those z-racks were an “ah ha” moment, though. I came to understand that not only can’t we be done, but it is ok that we are never finished. The moment you stop developing is actually the moment that you have failed. Of course, having this epiphany is all well and good. I now comprehend one of life’s mysteries! But this does not actually do me any good until I can accept it. 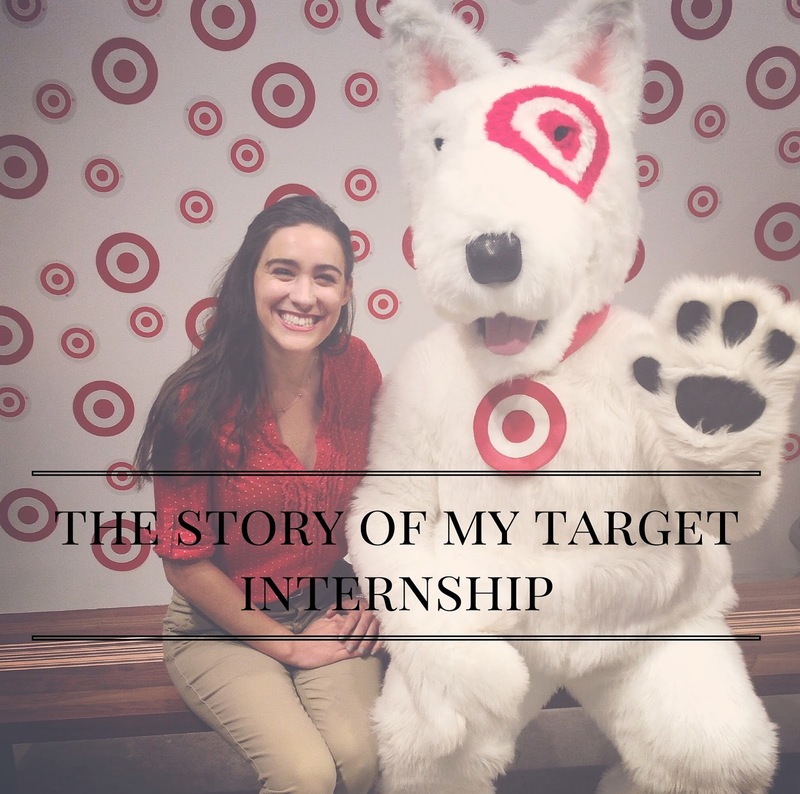 Through interning at Target I have learned that it is not enough to solicit feedback or focus on your opportunities or build meaningful relationships unless you are able and willing to accept the situation you are in and look to leverage your strengths. Since I now know (and you know too, because you are reading this) that in life we will be on a continuous path of improvement and that is both natural and ok, we must make the conscious effort to accept and embrace this. Through challenging ourselves and our ideas (shout out to my mentor for always helping me to do this!) we are taking the necessary steps to move closer to our ideal selves. We will never be complete (and that would be boring anyway. I mean, what would you even do with yourself if you checked off all of the boxes? ), but we will always be moving forward, one z-rack at a time.